Pre Cast Concrete Walling -> Brickcrete Multi coloured concrete precast walls. Our multi coloured Brickcrete concrete precast walls are manufactured using tan and plum oxide. These two colours are mixed together, to ensure a multi coloured finish on all the walls. 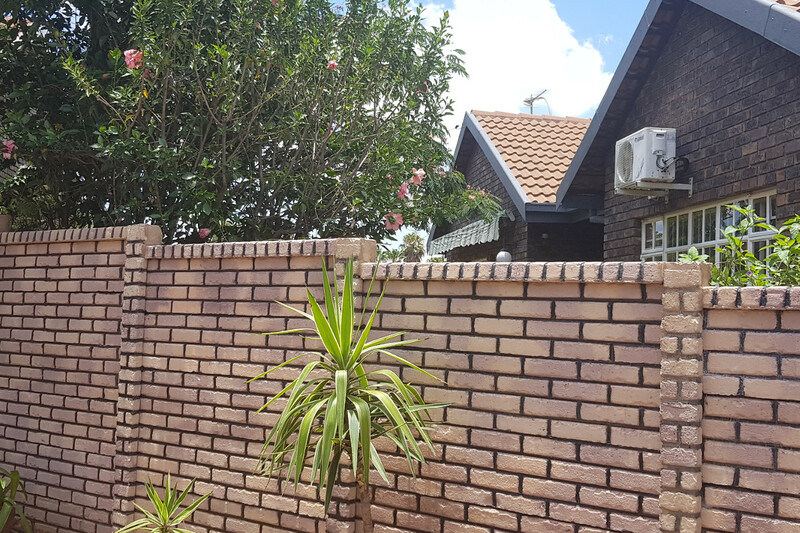 Our Multi Coloured Brickcrete concrete precast walls is aesthetically pleasing, as the multi colours blends in nicely with the multi coloured brickwork on a house. Our Multi Coloured Brickcrete concrete precast walls is a popular choice amongs our customers, as it provides a different option to the otherwise plain coloured walls. Because of the multi coloured appearance, dirt is not as visible on these walls, as is sometimes the case with one coloured walls. We install and supply to all areas withing Gauteng including Pretoria and Johannesburg, as well as, the surrounding areas, such as Bronkhorstspruit, Springs, Rustenburg and Witbank, with our Brickcrete concrete precast walls. Our installations are fast and efficient and all Brickcrete concrete precast walls, are finished with a cap and rail. These finishes are however optional, should you prefer something more plain. We also do extensions on existing walls as well as repair all types of pre-cast walls.